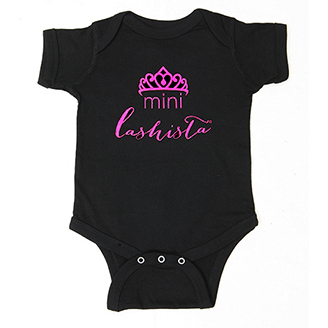 This cute Mini Lashista® Onesie is a wardrobe essential for your pretty little princess! 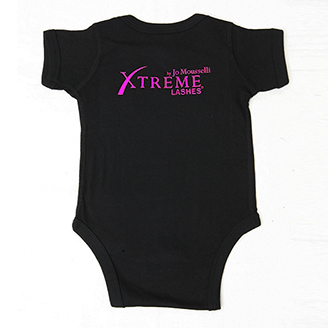 The bodysuit features a reinforced three-snap closure as well as double-needle ribbed binding on neck, shoulders, sleeves and leg openings to keep your baby girl nice and comfy. 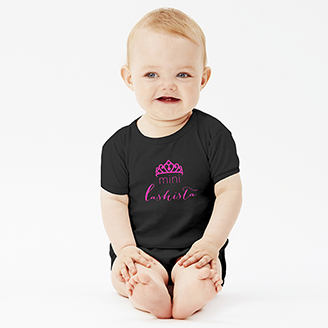 Made of soft and supple 100% combed ring spun cotton that is machine washable and dryer friendly.